This week and last Mat's class has been observing the night sky as part of their science unit. The students are to go out around the same time every night to see what they can see. This week has been a lot of cloudy nights but last week we saw a lot of stars. Mickey found a great website with an interactive sky map and a currently over your head map. It's helped us figure out what star is what. 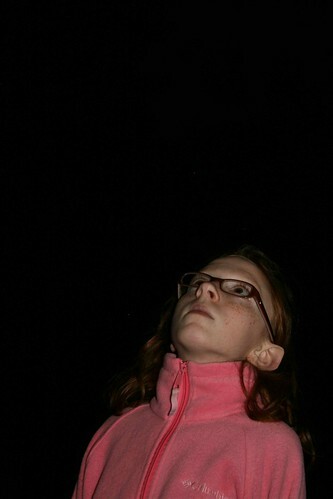 I've kind of gotten into all the star gazing since I'm the one that's been helping her most. Mickey mentioned something about knowing what to get me for Christmas, a telescope. That would be pretty cool. I'd have to find a better star gazing spot though.